Together with Kiwanis International, we have launched the fifth annual Legacy of Play Contest. The winning Kiwanis club will receive $25,000 in playground equipment to be used toward a playground project. The contest is open to all Kiwanis clubs that are currently working on a playground project, and that can complete the project by Kiwanis One Day 2019, Kiwanis International’s signature day of service during which clubs around the world participate in service projects benefiting their local communities. Qualified contestants may enter the contest by completing the entry form. Entries are being accepted now through May 12, 2018. Following the submission period, Facebook users will have the opportunity to vote for their favorite project. The winner of the contest will be announced on or around June 14, 2018. Enter the contest today to be the next Kiwanis club to bring play to your community. Then read about our past winners–the Kiwanis Club of Mankato (2017), the Poplar Bluff Kiwanis Club (2016), the Ottawa Kiwanis Club (2015) and the Iola Kiwanis Club (2013). We know that securing funds for a community or school playground can often be a challenge. But the great news is that there is nearly always money available… you just have to know where to look for it! And we’re here to help you with that. 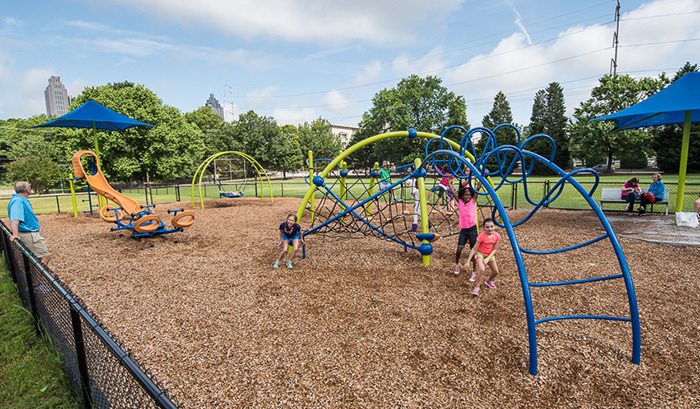 We have fundraising programs, a playground grant guide and purchasing contracts to help bring your playground plans to fruition. We can help you set up a highly profitable playground fundraising program. We’ve partnered with an organization to help turn walk-a-thons or other events into successful fundraisers with tools and resources. 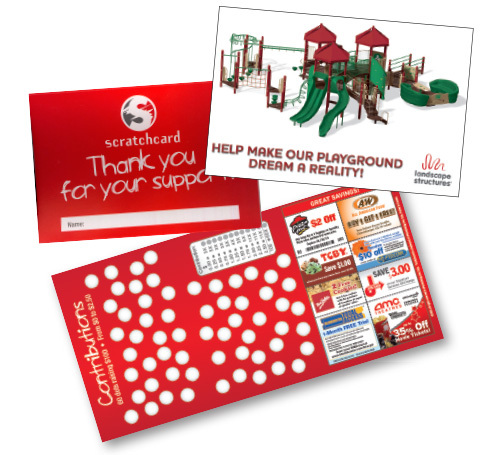 And we have scratchcards to turn your playground fundraising into a game. 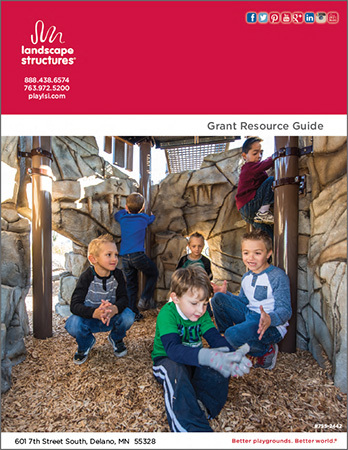 Playground grants are another way you can get the funds you need to make your project happen. While we don’t offer grants directly, we’ve put together a Grant Guide that provides a listing of federal and state programs, as well as grants offered by corporations. And finally, we have several purchasing contracts available to tax-based agencies or non-profits to expedite and simplify the buying process. Enrollment is easy and free, and it allows you to purchase our playground equipment at a great price. Contact us to learn more about our playground fundraising programs and grant guide, and visit playlsi.com to get more details about the purchasing contracts we have available.